Being involved in any type of accident is frightening and confusing. You or a loved one has sustained injuries or property damage. You’re worried about hospital bills or time you’ve had to take off from work due to the accident. You’re getting phone calls from an insurance company wanting to settle. There are so many important details to consider, and you need an immediate ally—someone to advocate for you and your future—right now. The only attorneys who truly know how insurance companies function are those who have worked for and within the insurance industry. You need a law firm with an experienced attorney who can expertly navigate the ins and outs of the insurance industry. With his winning record and superior knowledge of how insurance companies’ attorneys and adjusters function behind the scenes of a personal injury case, Nathan Steele will be that ally. The team at The Steele Law Firm is ready to stand by you during this difficult time, to protect your rights, and to ensure that you get the best result possible. Don’t wait! The first consultation is FREE. Get the experience, confidence, and results you deserve. Call Nathan Steele for a clear plan on how he can advocate for you. “It is a great privilege to be a lawyer and I take this responsibility very seriously. The Steele Law Firm offers specialized services in slip and fall personal injury cases. Licensed to practice in both Oregon and Washington, Nathan Steele is prepared to stand by you and to protect your rights. The Steele Law Firm offers a unique skill set in insurance and coverage disputes. Licensed to practice in both Oregon and Washington, Nathan Steele is prepared to stand by you and to fight for your rights. The Steele Law Firm offers specialized services in automobile accident personal injury cases. Licensed to practice in both Oregon and Washington, Nathan Steele is prepared to stand by you and to fight for your rights. The Steele Law Firm offers expert legal services in bicycle accident personal injury cases. Licensed to practice in both Oregon and Washington, Nathan Steele is prepared to stand by you and to protect your rights. The Steele Law Firm offers specialized representation for people who have been injured as a result of a motorcycle accident. Licensed to practice in both Oregon and Washington, Nathan Steele is prepared to stand by you, and to protect your rights. 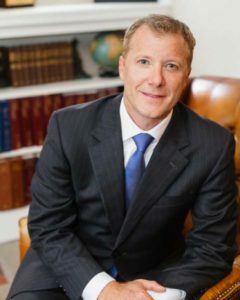 Nathan Steele, of The Steele Law Firm, is ready to fight for your rights whether you have sustained an injury, are locked in an insurance dispute, have been attacked by a dog, or need to be reimbursed for medical care due to another’s negligence.